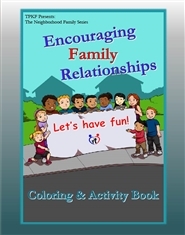 Our Family Neighborhood Series takes a light-hearted approach to helping children and families cope with issues relating from separation, divorce and child custody issues. 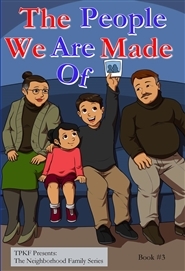 Seven-year-old Mia is being raised in a family that is proud of their Japanese heritage. 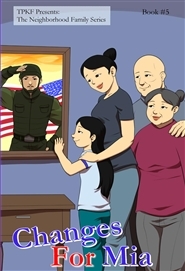 When her father is deployed away from home for an indefinite period of time, Mia’s maternal grandparents move in to help while he is away. Mia is upset that her father has left, and she has mixed feelings about her grandparents moving into her house. Mia learns a valuable lesson about compromise which results in an unexpected reward. 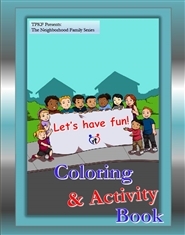 Color your favorite Neighborhood Family characters and complete fun projects about you and your family! Our Family Neighborhood Series takes a light-hearted approach to helping children and families cope with issues relating from separation, divorce and child custody issues. A once fun-loving and friendly boy, seven-year-old Brad is in a state of transition. After his mother was incarcerated, his maternal grandparents sought out his father to introduce the two for the first time. Brad has a growing family, a new home, and new friends. With a supportive father who continues to encourage the relationship with his mother, and a group of understanding friends, Brad will learn to talk about his feelings and adapt to these changes. Our Family Neighborhood Series takes a light-hearted approach to helping children and families cope with issues relating from separation, divorce and child custody issues. 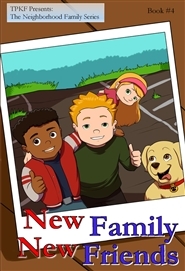 Ricky and Robin lost both of their parents at a very young age, and they now live with their paternal grandparents. Their grandparents work hard to keep the memory of both of their parents alive. Ricky and Robin are thrilled to hear the similarities they have with their mom and their dad. This realization prompts a discussion with the neighborhood kids, who also share the similarities they have with each of their parents. Our Family Neighborhood Series takes a light-hearted approach to helping children and families cope with issues relating from separation, divorce and child custody issues. 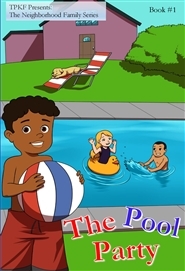 Alex is a seven-year-old boy whose parents never married, but agreed to work together and raise him in a co-parenting partnership. By having parents who value each other’s parental role, Alex is growing up with consistent values, ethics, guidance and discipline. Our Family Neighborhood Series takes a light-hearted approach to helping children and families cope with issues relating from separation, divorce and child custody issues. 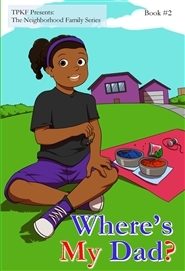 Where’s My Dad addresses a difficult question asked by millions of kids each year. More than one in three children grow up in single-parent homes with the large majority being fatherless. Six-year-old Amanda talks with her friend Alex about her feelings. By having a parent who actively listens, watches for behavior changes, encourages positive family relationships and serves as a positive role model, Amanda is learning to effectively express herself, handle conflict, and cope with difficult situations.